Estonia’s Minister of Entrepreneurship and Information Technology, Rene Tammist. Tourest 2019 was officially opened by Estonia’s Minister of Entrepreneurship and Information Technology, Rene Tammist who was accompanied by the Director of the Tourism Board of Estonia, Margus Sameli and also Vice President of Estonia Tourist and Travel Association, Kulli Kuring. Tourest 2019 was participated by 30 countries with a total of 533 participating exhibitors. In addition to promoting tourism destinations, Indonesia’s participation in Tourest 2019 is also to promote a variety of Indonesian cultures and premium single origin Indonesian Arabica coffee such as Mandailing, Toraja, Bali and East Java. Indonesia’s presence in Tourest 2019 was strengthened by the performance of Indonesian culture of Sekar Jagad dance, Piring dance and Sasando musical instruments on the main stage which managed to amaze the visitors. While the cultural performance at the Wonderful Indonesia booth is always greeted with extraordinary enthusiasm from the visitors. 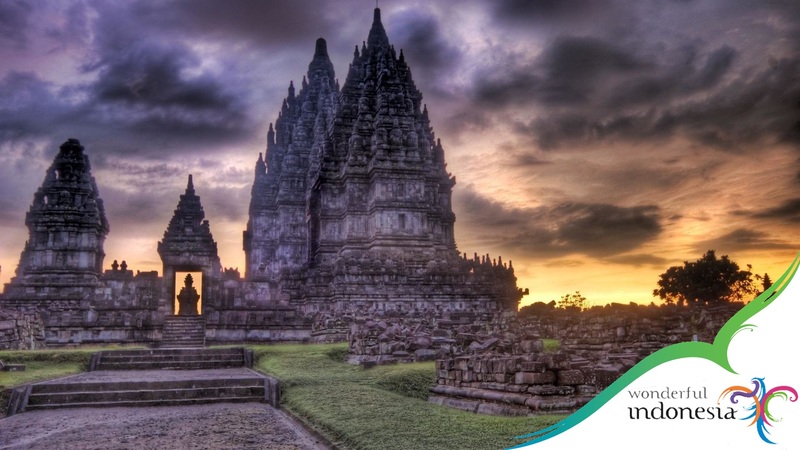 At Tourest 2019, a well-known Estonian blogger and traveler, Almer Ansu, sponsored by Turkish Air, officially announced the opening of a direct flight of Turkish Air flight from Istanbul to Bali, Indonesia in mid-July 2019. The announcement was made in the Tourest 2019 Traveler’s Club program. In the program, Almer Ansu promoted Bali as a tourist destination that not only offers coastal tourism destinations and beautiful cultural charm but also a healthy lifestyle through yoga holiday programs that are widely available in Bali. Fascinated by the Indonesian booth and various Indonesian dances and Sasando music, Talinn TV, one of Estonia’s national TV stations and Kuku radio, asked for an interview with the Indonesian Ambassador to Finland and Estonia, Wiwiek Setyawati Firman. In the interview, the Ambassador emphasized the progress of the tourism sector for the Indonesian Government not only to advance the economy. Many other sectors are lifted under the tourism program, which participates in building mutual understanding between cultural diversity in the world, introducing the protection of endangered species in Indonesia, the preservation of rainforests, and the wealth of natural tourism in Indonesia (ecotourism). participating in this program is more than 126 countries organized by the Ministry of Education and Culture (MoEC), Republic of Indonesia. On 9 January 2019, the Minister for Foreign Affairs of the Republic of Indonesia, Retno LP Marsudi presented the work results of Indonesia’s foreign policies in the last 4 years, in an annual press statement given at the Ministry of Foreign Affairs, Jakarta. The diplomacy work during this period was summarized in four main diplomatic priorities, namely maintaining the sovereignty of the Republic of Indonesia, protecting Indonesian citizens abroad, economic diplomacy, and Indonesia’s role in the region and globally. “In the last 4 years, border diplomacies and the intensity of border negotiations have been increased and intensified,” said Foreign Minister Retno. It was recorded that Indonesia has carried out 129 border negotiations which resulted in border agreements with Malaysia, Papua New Guinea, Singapore, Philippines, Vietnam and Palau. Foreign Minister Retno also confirmed that Indonesia would be firm in facing disruption to sovereignty. “Indonesia will not retreat even one inch for the sovereignty of the country, not even one inch,” she said. Regarding Indonesia’s diplomacy in the Pacific, various cooperation has also been developed, including the cooperation in development, capacity building, maritime cooperation, climate change, and disaster management. On 6th December 2018, Business Forum conducted by the Indonesian Embassy in Helsinki in collaboration with the Indonesian Honorary Consul, Mr. Heldur Alesse, managed to attract participants from Estonian tour operators, Estonia Travel Tourism Association and Talinna TV. In this forum, the Head of Planning Agency of South Kalimantan Province explained and promoted various tourist destinations in South Kalimantan which consisted of various types of tourism consisting of natural tourism, cultural tourism and artificial tourism. Tourist destinations in South Kalimantan Province consist of ecotourism, geopark, Mount Meratus area, Bekantan monkey conservation area, floating market of Lok Baintan, and the gemstones market of Martapura. In order to find out the opportunities for tourism promotion to Baltic countries, one of the presentations delivered at the Business Forum activities was the presentation of Mrs. Tiuu Vibrant, Estonia Travel Tourism Association regarding the largest tourism promotion activities in the Baltic region, the TOUREST Trade Travel Fair 2019. From the results of the question and answer and discussion with all tour operators as well as the Estonia Travel Tourism Association, it is known that Estonian and other Baltic countries like nature or ecotourism and culture. This is in accordance with the tourist destinations in South Kalimantan coupled with the ease of accommodation where in South Kalimantan there are many international scale hotels including Ibis, Golden Tulip, Best Western, and the construction of international airports in 2020. Related to visual promotion, at the meeting, Mr. Revo Raudjarv, producer and presenter of Talinna TV, which is the largest TV channel in Estonia, offers cooperation in making tourism promotion videos for the Province of South Kalimantan which will be broadcast on Tallinna TV just by financing travel tickets without the need to buy time on Talinna TV. The majority of the population in South Kalimantan are ethnic Banjar which consists of three groups, namely Banjar Kuala, Banjar Pahuluan and Banjar Batang Banyu. As one of the largest ethnics in Indonesia, the Banjar tribe has cultural characteristics. The culture in South Kalimantan is a product of adaptation, assimilation and acculturation from the basic culture of indigenous Banjar tribes with Hindu, Buddhist and Islamic cultures. There are also ethnic Javanese, Madurese and Sundanese who came as migrants. In coastal areas Tanah Bumbu and Kotabaru also dwells ethnic Bugis (Bugis Pagatan) and Mandar originating from Sulawesi. Dayak in South Kalimantan region occupies around the Meratus mountains (Dayak Bukit) and at the bank of the Barito River (Dayak Bakumpai). Other ethnic groups in South Kalimantan, namely the ethnic Arab descent contained in Banjarmasin and Martapura. There are also ethnic Chinese origin who inhabit the area of Chinatown in the city of Banjarmasin and Sungai Parit in Pelaihari (Cina Parit). The language used in everyday life by Banjarese as a mother tongue and as a lingua franca for the people of South Kalimantan generally is the Banjar language which has two major dialects, namely Banjar Kuala dialects and Banjar Hulu dialect. The Dayak tribes who inhabit the southern region of the Meratus mountains spoke the Dayak Meratus language.